Sony has released a batch of new goodies for their upcoming animated superhero hit Spider-Man: Into the Spider-Verse. The movie comes out in two weeks time, but early screenings of the film are already taking place and I haven’t heard one bad thing about the movie yet. In fact, the last time I checked, it currently holds a perfect 100% on Rotten Tomatoes with many critics claiming it’s the best superhero movie of the year. And just to remind you, that means better than both Black Panther and Avengers: Infinity War. If that does end up being the outcome for most of us, it’s a surprise Christmas treat that none of us were expecting. The marketing for the movie thus far has been spot on, incredible in fact. The trailers haven’t missed once and Sony has done a great job of placing promos in the right spots. Everyone knows about this movie, whether you’re a comic book fan or not. Not only that, but its aim is much wider than your typical superhero adventure. The animation side of it directed at the youngsters, while the story overall easily fits the likes of adults. How do I know that? Well, if you’ve been paying attention to those early reactions, I keep seeing “the best Spider-Man movie to date” pop up on my social media timelines. With that headline, how can you not be excited? No matter which side of the excitement line you stand on, these new clips and posters are definitely another solid entry in the marketing for the movie. The clips aren’t really “spoilery” and the posters are exactly what a character poster should be, character driven. The most exciting part of this film, for me anyway, is the style of it. It looks like its been pulled from the pages of a comic book, with these clips and posters once again staying true and giving off that vibe. Now that you know my thoughts, what are your feelings towards the movie? Are you excited for it? Have you been waiting all year for it? Do you believe the early reactions? How about the clips and posters? 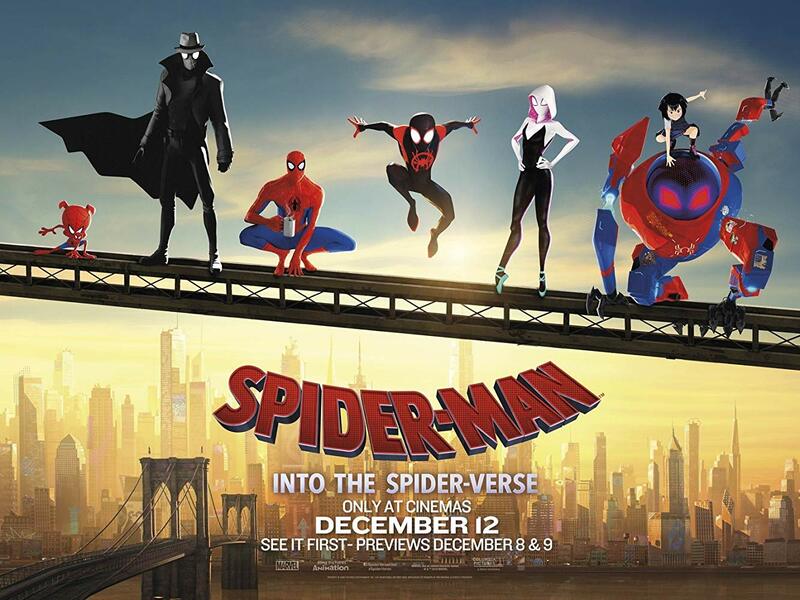 Starring the voices of Shameik Moore, Jake Johnson, Hailee Steinfeld, Mahershala Ali, Brian Tyree Henry, Nicolas Cage, Kimiko Glenn, John Mulaney, Luna Lauren Velez, Lily Tomlin and Liev Schreiber, Spider-Man: Into the Spider-Verse swings into theaters on December 14th. The ‘Avengers 4’ Trailer Is Rumored to FINALLY Arrive Wednesday Morning!